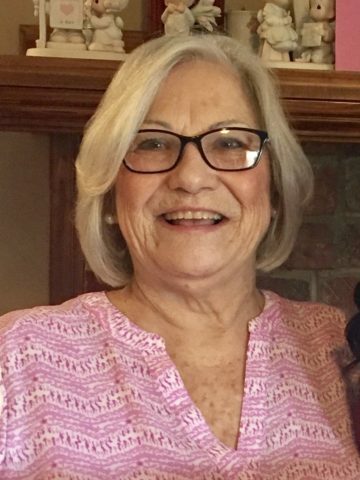 Ms. Virginia Alice Stryker, 74, passed away on Saturday, September 8, 2018 at North Crest Medical Center. She was born on April 23, 1944 to the late Fred and Floye Parmenter. She is also preceded in death by her husband, Lamar Stryker. Virginia had a smile that could light up a room anytime she walked in. She was a simple lady, who loved life and was easy to please. She loved her family; especially her grandchildren. She was their #1 fan. She enjoyed traveling to see different parts of the country with her brother and sister-in-law. Virginia enjoyed sewing, talking with friends, and cruising antique stores. Virginia is survived by her two daughters, Cheryl (Larry) Dykes, and Rochelle (Roger) Yolton; four grandchildren, Stuart Yolton, Shelby Dykes, Mitch Yolton, and Chantel Dykes; brother, Fred Parmenter (Carole); and sister, Phyllis McCombs (Jerry). Cole and Garrett Funeral Home in Goodlettsville in charge of arrangements. 127 North Main Street, Goodlettsville TN 37072.